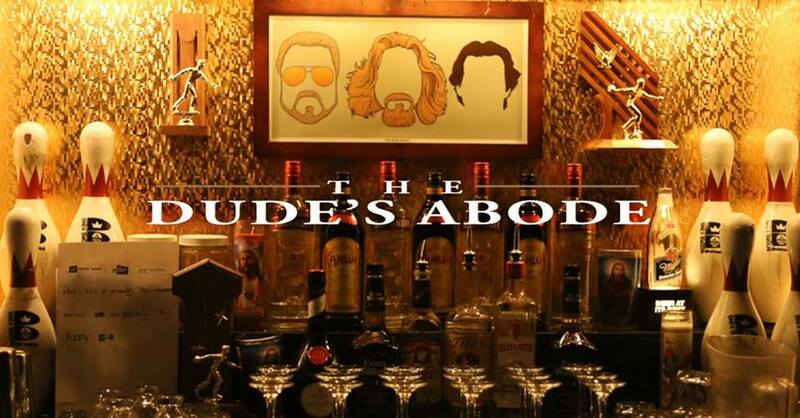 This holiday season, celebrate "Dudism" at THE DUDE'S ABODE: The Big Lebowski Pop-Up. Enter the dream world of The Dude, and enjoy Big Lebowski inspired cocktails, such as "Bunny's Toe", "STFU, Donny", and "World of Pain", as we put on some Creedence, kick back, and enjoy some Smirnoff, Kahlúa and Cream on the rocks. “I'm a film buff and collect memorabilia from the movies I love. I had half the stuff from Room 237: The Shining Pop-Up before we even thought of doing pop-ups," says Chris Montgomery, owner/partner of The Rookery. “I am a huge Coen brothers fan, and this is a fan tribute to one of my favorite films." Produced by The Rookery and Dying To Go Pop-Ups. THE DUDE'S ABODE is open every Wednesday, Thursday, Friday and Saturday starting Friday, Dec 21st through mid-February. Join us Monday, Dec 31st for a special New Year's Eve event.